I'm a college professor and President of an educational technology startup that helps to improve student learning and retention in the classroom. If you're passionate about education like I am then hopefully you will be glad to give me feedback and help with case studies in your classroom. 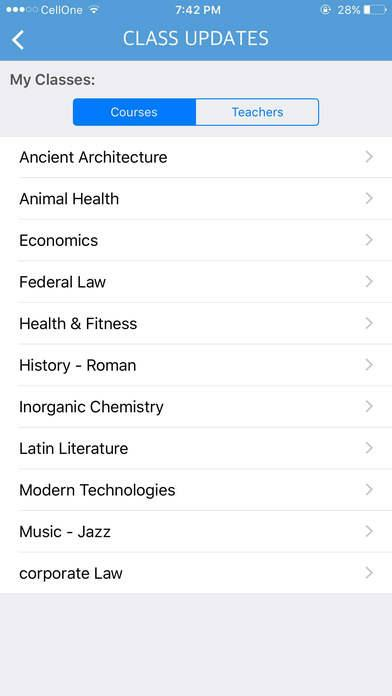 The application is called Class Updates and work...See More I'm a college professor and President of an educational technology startup that helps to improve student learning and retention in the classroom. If you're passionate about education like I am then hopefully you will be glad to give me feedback and help with case studies in your classroom. 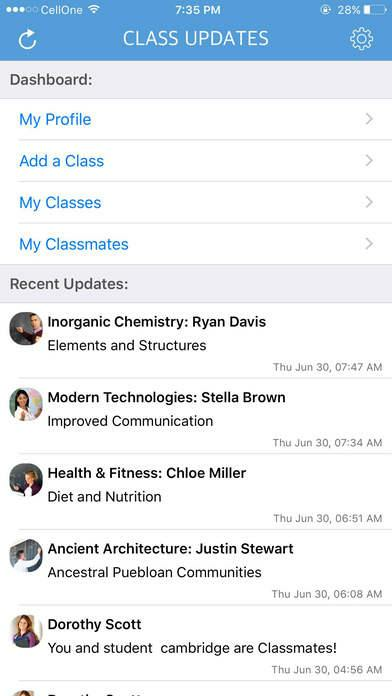 We help connect students and teachers with instant push notifications so students never have to worry about forgetting a presentation being due or class being canceled. 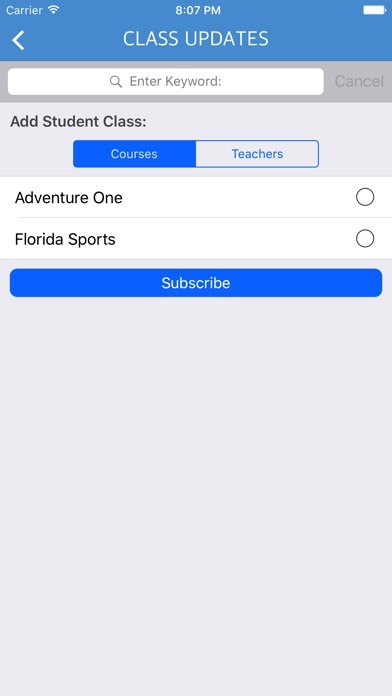 All the teacher has to do is sign up on the application and create a class for their relevant school and tell their students to sign up. 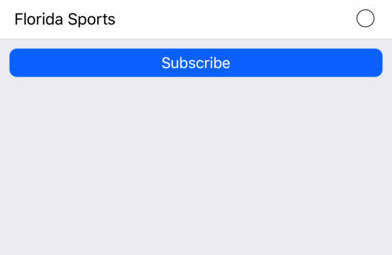 Once signed up they will receive instant notifications right to their phone as soon as it is sent. We've also built a calendar function so students can track all of their classes and future notifications in one place. If you would like to download the application the links are below and I appreciate the discussion on the application and how we can help improve the learning environment for the students while saving faculty time. “People only do their best at things they truly enjoy,” Jack Nicklaus – Hall of Fame golfer. I’m sure we have all experienced this at some point in our lives. For me personally it didn’t happen until my senior year in high school... Click below to read the rest, then please pass it on. Mikaela Hello! I agree with this essay. We do participate in activities that we like as well as utilize a certain style of teaching do to this taste. I believe it will benefit students if we do this for them as well and make information presentable and appealing to them as well. Do things that they like. Keep them engaged. Allow them to interact with the e...See MoreHello! I agree with this essay. We do participate in activities that we like as well as utilize a certain style of teaching do to this taste. I believe it will benefit students if we do this for them as well and make information presentable and appealing to them as well. Do things that they like. Keep them engaged. Allow them to interact with the environment. Active learning can motivate children more than a traditional lecture format. I want to invite you to my Facebook Page called "Not Just A Substitute". On this page I talk about my experiences as a sub, ahem, (well I call myself a Visiting Teacher instead of a substitute teacher) and I also talk about things that irritate me about the way teachers and visiting teachers are being treated in the SYSTEM. My views are also on the NYCDOE Facebook page and on DOCS.COM. I talk about how the system empowers the students so much that the hands of the teachers are tied. We are constantly walking on eggshells and thrown under the bus by the students, parents and the administrative staff. I hope you'll visit and read some of my posts. They are not "itty bitty" posts. I am long winded, but I can assure you that what I say is worthwhile. You can also put in your two cents. I speak straight from the shoulder. Thanks. Educators from all walks of life are invited to attend our 20th annual Delaware Estuary Teacher Workshops on Monday to Thursday July 18 - 21. These workshops have practical applications and curriculum connections to benefit your classroom and students. Join us as we make our way down the estuary from Schuylkill County to Philadelphia to Central Del...See MoreEducators from all walks of life are invited to attend our 20th annual Delaware Estuary Teacher Workshops on Monday to Thursday July 18 - 21. These workshops have practical applications and curriculum connections to benefit your classroom and students. Join us as we make our way down the estuary from Schuylkill County to Philadelphia to Central Delaware, exploring natural resources, diverse communities and unique, hands-on ways to engage students! Urban Waters Tuesday, July 19, 8:45 a.m.-4 p.m. Fairmount Water Works, Philadelphia PA This day will focus on the complete process of how we use water in the city. Tours may include the wastewater treatment plant as well as where the water is before we drink it. We will also tour the Fairmount Water Works to learn the history of water in the city of Philadelphia. After exploring the center we will discuss ways to incorporate water into your classroom using the Understanding the Urban Watershed curriculum. WOW! Workshop and Wetland Exploration Wednesday, July 20, 9 a.m.-4 p.m. The Aquatic Resources Education Center, Smyrna DE Long field trips to destinations are not always feasible, so this workshop offers techniques to connect your students with wetlands and natural spaces no matter the limitations. We will explore ways to engage students outdoors as well as ways to incorporate wetland activities while indoors. During the Workshop we will explore the Wetlands and see everything that AREC has to offer. All participants will receive the WOW! Wonders of Wetlands curriculum. James Madison's Montpelier in Orange, Virginia offers immersive 3-day Seminars for K-12 educators throughout the calendar year. Seminar participants engage in interactive lectures and discussions as well as tours of the Montpelier mansion and grounds. Seminars are taught at a graduate level by leading constitutional experts and draw on primary sour...See MoreJames Madison's Montpelier in Orange, Virginia offers immersive 3-day Seminars for K-12 educators throughout the calendar year. Seminar participants engage in interactive lectures and discussions as well as tours of the Montpelier mansion and grounds. Seminars are taught at a graduate level by leading constitutional experts and draw on primary source materials. Studying the Constitution at Montpelier – the very place where James Madison thought profoundly and creatively about our American form of government – is a rich and powerful experience that cannot be replicated elsewhere. Many scholarships are available! Scholarships cover the cost of accommodations, meals, reading materials, teaching resources, and documentation for recertification credits. This is a great article. There are always new ideas and practices in the education field. As an educator, I think it is so important to take the initiative to find trainings and be a self directed learner. Early Childhood Research Survey. Chance to Win a Free Book! You are invited to participate in a study about communicating the benefits of play based learning to families of students. I am looking to see how early childhood centers communicate the benefits of play based learning with families. I will be looking at various schools based in different philosophies and will be analyzing the similarities and differences based on the survey responses. The study entails a short open-ended survey that will only take a few minutes to complete. All questions were designed to explore communication patterns within the early childhood school at which you are employed. Findings of the study will be shared with all participants within two weeks of participation. All participant information will be coded in order to keep confidentiality. Participants may withdraw at any time without question. All data will be disposed of after completion of the study. Thank you for taking the time to participate, it will serve as a great aid to my master’s research. The survey can be found by following the link https://www.surveymonkey.com/s/FLK5KDL. Also, please read the attached informed consent form and type your name as a signature to indicate participation and email it back to nicole.eckert@wagner.edu. Names will not be linked to surveys and will be kept anonymous. The form will explain the study in more depth. Thank you again for your time and participation. To thank you for your participation you will be entered in a drawing to win a free book for your classroom! I work at Project Management Institute Educational Foundation. We have a list of scholarship for teacher training if you are interested. Please visit our web page at [link removed] . Read about it in the March issue of Teachers.Net Gazette! The author of this article typed "My students are" into Google. Read what happened and the author's remedy.